Increasingly, people at risk for HIV infection are turning to preventive drug measures to help stave off the virus. Researchers from the University of Washington School of Pharmacy found that one such drug, Tenofovir, in the form of a topical vaginal gel, is metabolized, or broken down, by the common bacterium Gardnerella vaginalis. This negative effect counteracts the gel’s intended protection. Women who apply the drug but who have that bacterium are more vulnerable to HIV infection. The good news, however, is that Gardnerella, commonly associated with bacterial vaginosis, is relatively easy to detect and treat. The finding emerged in the lab of Nichole Klatt, UW assistant professor of pharmaceutics and pathobiology. 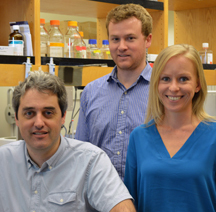 Grad student Ryan Cheu and postdoctoral fellow Alex Zevin uncovered the mechanism. “These findings open up a whole new field of research in drug efficacy,” Klatt said. Their analysis looked at 3,334 genital bacterial proteins from 688 women in the Centre for the AIDS Programme of Research in South Africa trial. The trial, a collaboration of the UW team and lead investigator Dr. Adam Burgener of the University of Manitoba and Public Health Agency of Canada, assessed the ability of Tenofovir gel to block new HIV infection. Analysis showed the drug was less effective for a relatively large population of women, and Burgener and Klatt wanted to understand why. In most of the women, lactobacillus was the dominant vaginal bacterium. 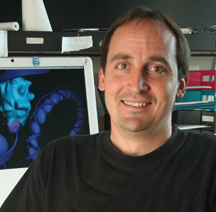 Burgener discovered that women who have a predominance of “good” lactobacillus in their reproductive tract were better protected by the Tenofovir gel but hadn’t figured out why until Klatt’s team identified Gardnerella’s role. Clinics can screen women with a readily available, simple and cheap pH test to quickly discern the greater presence of lactobacillus or Gardnerella, and resolve any imbalance with antibiotic treatment before Tenofovir gel use begins. In most of southern and eastern Africa, about 380,000 new HIV infections occur each year in females 16-24 years old. These young women experience HIV rates several-fold higher than their male peers, making the reduction of infection among young women one of the most crucial challenges in HIV prevention in Africa. Klatt said the team is following up with studies of other prophylactic drugs administered orally and rectally to learn whether they have the same vulnerability. “It is incredibly exciting to have this breakthrough, knowing that it will make a difference in the lives of hundreds of thousands of women at risk for HIV,” she said. The research was presented July 19 as part of the AIDS 2016 Conference in Durban, South Africa. In 2008, one man, Timothy Ray Brown, was cured of HIV. Also known as the “Berlin patient,” Brown was considered cured of his infection after receiving two bone-marrow transplants to treat a separate disease he had been diagnosed with a few years earlier: acute myeloid leukemia. The bone marrow he received came from a donor whose genes carried a rare mutation that made them resistant to HIV, known as CCR5-delta 32, which was transferred on to Brown. Traces of the virus were seen in his blood a few years later, but remained undetectable despite him not being on antiretroviral treatment, meaning he was still clinically cured of his infection, according to his clinicians. Despite various attempts on patients after him by scientists using this same approach, including a similar transplant in two Boston patients, Brown remains the only person known about who has been cured of HIV. But a new study presented Sunday at the 2016 Towards an HIV Cure Symposium — ahead of the 21st International AIDS conference in Durban, South Africa, this week — revealed data on a new set of HIV positive patients whose reservoirs of HIV have fallen to very low levels after receiving a range of stem cell transplants similar to Brown’s. The study is part of the EPISTEM project, a European project to investigate the potential for an HIV cure using stem cell transplantation, and provides further insight into the science underlying Brown’s success. Everyone included in the project is in need of stem cell transplantation to cure severe blood disorders, in addition to being infected with HIV. Can stem cells bear a cure? The 15 patients monitored in the study to date are still on antiretroviral treatment, unlike Brown, but have received stem cell transplants. Three of them had their operations three years ago and have been studied in detail since. “In two of the three patients we were unable to detect infectious virus in the blood of the patients,” said Annemarie Wensing, a virologist at the University Medical Center Utrecht who led the study. Tissue samples were also studied and one patient also had just traces of the virus hiding there. “All HIV-infected patients that received a stem cell transplantation had a significant reduction of the viral reservoir in their body. This has not been demonstrated with other cure strategies,” Wensing said. The minute levels of the virus that have been seen to date were not considered competent enough to replicate, according to the team. “[This] will help us shape future HIV eradication strategies that could be applied at a larger scale than stem cell transplantation,” said Wensing. But there’s a long road ahead. The next step will have to explore how they fare without treatment, Lewin added. The process of transferring resistance to HIV is extremely complicated — and rare. Firstly, only 1% of Caucasians are estimated to carry the CCR5-delta 32 mutation that confers resistance to HIV, with other races having even fewer numbers. The genetic change means people lack a protein needed by HIV to enter blood cells. The team also cannot be 100% sure whether the mutation is the only cause of the resistance to HIV or whether the many other stages of the transplant process play a role. These include the body being totally cleared of its immune system using chemotherapy and irradiation ahead of it being rebuilt by the donor stem cells, and the potential for the newly formed immune cells to attack any remaining old ones that may be harboring HIV. Patients can also have one or two transplants. “All those factors may be really important and we’re trying to tease it out,” said Monique Nijhuis, also from the Utrecht Medical Center who works on the project. The unique and rare nature of the blood disorders affecting the patients also means they receive different treatments rather than everyone receiving the same treatment for comparison. “Each person is like a micro-clinical trial in himself or herself,” said Asier Saez-Cirion from the Institut Pasteur, also involved in the project. What the team does know, however, is that monitoring these patients and the new participants being recruited globally will help them understand where the virus hides within the body — known as reservoirs — and the biology involved in clearing these reservoirs to leave levels of the virus undetectable. The main drawback, however, is the impracticality of applying this process to more than a handful of people and the resulting unlikelihood of it becoming a generic cure. In 2015, almost 37 million people were living with HIV, of which only 46% were receiving antiretroviral therapy, and 2,1 million were newly infected. “It’s impractical to think we’re going to do that for millions of people,” said Anthony Fauci, director of the National Institute of Allergy and Infectious Disease. “It’s the practicality of saying what is better: a single or two pills a day, or getting chemotherapy, getting a stem cell transplant and then having chemotherapy for a period of time after you get the transplant versus just taking a drug,” he said. What Fauci instead feels may be more feasible, and scalable, is using this insight to inform future therapies that involve gene editing, where people may have the CCR5 gene edited out of their cells so HIV can no longer invade them. “It’s interesting science and what it might do is serve as the proof of concept that you can do gene editing of someone, as opposed to stem cell transplantation,” said Fauci. He highlighted the fact that the HIV community currently does not have enough budget to provide pills to everyone who needs them, let alone transplants. Saez-Cirion agreed. “Bone marrow transplant won’t be applied widely … it’s extremely complex,” he said. But with so few cases to date showing either a cure or remission, the EPISTEM team hopes its group of patients will at least provide data to build on the existing — and limited — body of evidence. Fauci does believe the possibility of HIV remission, where levels of HIV are brought down to undetectable levels when people are not taking antiretroviral drugs, is realistic, but by other means. He presented updates on the use of broadly neutralizing antibodies, which as their name suggests could neutralize HIV reservoirs hiding in cells, at the symposium. The consensus among HIV cure experts attending the conference was for remission to be the end goal — at least for now. “We should not give up on eradication … but I would put my major emphasis on sustained virological remission … to keep people suppressed as low as they can possible be.” Fauci said. Remission has been shown in other groups of patients, including one known as the VISCONTI cohort where 14 adults treated for HIV soon after infection stopped taking their drugs three years later and showed no resurgence in the amount of virus found in their blood. The group is considered to be post-treatment controllers of the virus. Last year a French teenager was also reported to have similar control, 12 years after stopping treatment. Both groups are monitored by Saez-Cirion’s team at the Institut Pasteur. “Remission will be the first step in any case,” said Saez-Cirion. “Then when we get more data on survival in this remission period and more sensitive techniques we can being to talk about a cure. HIV, the virus that causes AIDS, comes in two forms: immature and mature. The immature form is assembled inside an infected person’s cells. After an immature virus particle has left the cell, it has to change into the mature form before it can infect other human cells. A new group of drugs that inhibit this maturation is currently undergoing clinical trials, but so far it was unclear how exactly these drugs act. To go from immature to mature, HIV has to cut the connections between its main building blocks, and rearrange those pieces. John Briggs’ lab at EMBL and Hans-Georg Kräusslich’s lab at Heidelberg University Hospital looked at a particularly important cutting point. It connects building blocks known as the capsid protein and the spacer peptide 1, and if it is not cut, the virus cannot mature. The scientists used a combination of cryo-electron tomography and subtomogram averaging to reveal exactly what this part of the immature form of HIV looks like in 3D. They found that the cutting site is hidden in a position where the virus’ cutting machinery can’t sever it. So for the virus to mature, the structure first has to change, to expose that cutting point. When the new inhibitor drugs were first developed, scientists found that HIV viruses with certain mutations in their genetic sequence were unaffected by the drugs – they were resistant. 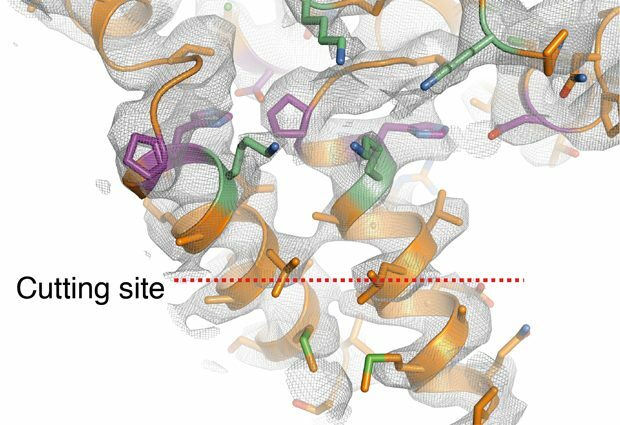 Having determined what the cutting point looks like and how the drugs act, Briggs and colleagues are now able to understand the effects of those mutations. The researchers would now like to probe the virus and the inhibitor drugs in even greater detail, to understand exactly how the drugs attach themselves to the viral proteins, and potentially gather data that could help to search for better drugs – or to design them. The method used in this study – combined cryo-electron tomography and subtomogram averaging – enables scientists to study structures inside irregular viruses like HIV, or within cells. In essence, the scientists use an electron microscope to obtain a 3D image of the sample – in this case, whole HIV-1 particles. They then identify all the copies of the object they want to study – all the instances of the capsid protein-spacer peptide 1 cutting point – and use software to rotate the 3D image of each copy so that they are all facing the same way. By repeating this procedure with thousands of images, the scientists can obtain an accurate picture. With this approach, researchers can study such samples without having to purify them in a test-tube, which means that they see them in their real state. The EMBL scientists’ work now proves that the method can provide the level of detail that is crucial to understanding how molecular machines work and to informing drug design. HIV is especially difficult to eliminate because it can hibernate in infected patients, eluding current antiretroviral drug therapy. Researchers at The Scripps Research Institute (TSRI) have now developed a new method to switch on, or reactivate, hibernating viruses and force them out of hiding. The breakthrough uses the CRISPR/Cas9 system, a genetic engineering tool that can be easily programmed, to target HIV and advance a potential cure. “Cas9 has been transformative for biology and in using it we’ve found a more specific and potent way of activating HIV,” said Kevin Morris, associate professor at TSRI and the University of New South Wales. “Cas9 has been transformative for biology and in using it we’ve found a more specific and potent way of activating HIV,” says Associate Professor Kevin Morris. Morris was a senior author on the study, published recently in Molecular Therapy, with Marc Weinberg, adjunct assistant professor of molecular and experimental medicine at TSRI and professor of molecular medicine and haematology at the University of the Witwatersrand in Johannesburg, South Africa. HIV infections are currently treated with a combination of antiretroviral therapies (cART) that inhibit different stages in the viral life cycle. Use of these drugs has led to a large reduction in the morbidity, mortality and transmission associated with having HIV. However, cART is unable to target hibernating, or latent, HIV. Latency occurs when the viral genome integrates into the genome of an infected cell and enters an inactive state. In this state, there is a reduction in a cellular process called transcription, which is important for making HIV RNA, and no viral genes are produced. Cells carrying integrated HIV genomes act as a “reservoir” that enables HIV to come out of latency at any time, begin transcription of the viral genome and produce active virus. Reactivation is poorly understood, but can force many patients to continue cART for the duration of their lives. Several latency-reversing agents (LRAs) have been investigated to drive HIV out of hibernation by activating transcription of the HIV genome, yet many have nonspecific and unpredictable effects on cells, leading to a disruption of normal cell division or toxicity and making them unfavorable as therapeutics. “We wanted to find a potential LRA that could be as effective as the current therapeutics, but more specific,” said Weinberg of the group’s effort. To do this, the team investigated the use of the “dead” Cas9 (dCas9) system, a variant of the popular CRISPR gene editing system. dCas9 can be programmed to activate transcription at almost any sequence by using small guide RNAs (sgRNAs) that match a given DNA sequences. In this case, the group directed dCas9 to a region of the HIV genome where transcription normally begins. Morris, Weinberg and colleagues designed and tested 23 sgRNAs and analyzed their ability with dCas9 to activate transcription in several cell culture models for latent HIV. They found that targeting a small 20-30 nucleotide window led to strong activation of transcription, about 20-fold better than any of the other sequences targeted. The group went on to compare their dCas9 system to several LRAs, some of which have been investigated clinically. By targeting dCas9 to the “hotspot” region the researchers identified, they found that they could activate HIV better than many other methods. In addition, the team found its dCas9 system could specifically activate HIV with few off-target effects. As with this and other Cas9 therapies, the process of moving this proof-of-concept treatment into the clinic is in its infancy. “The million-dollar question with any of these types of approaches is the cellular delivery, and there are a lot of options for the use of CRISPR that should be looked at when applying these technologies,” said Weinberg. 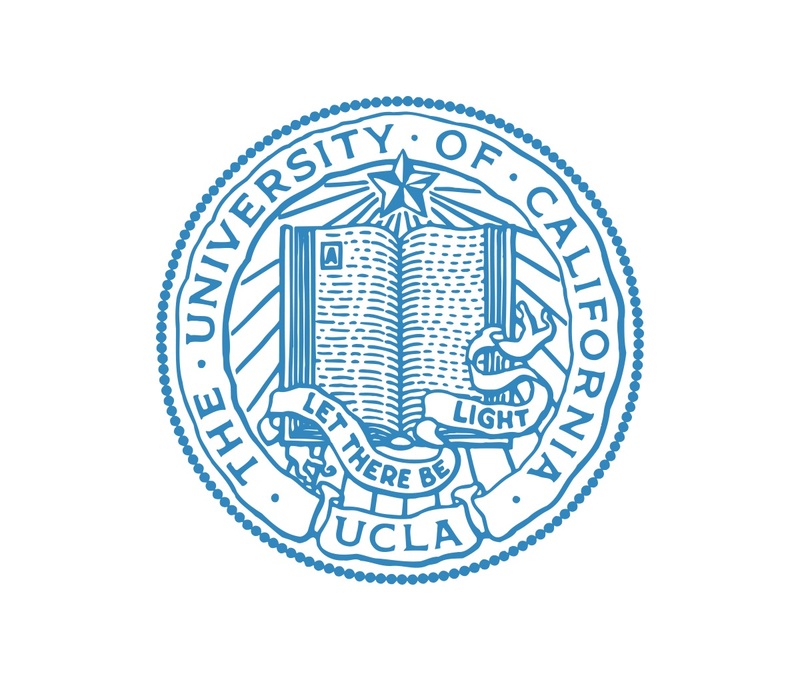 In addition to Weinberg and Morris, authors of the study, Potent and Targeted Activation of Latent HIV-1 Using the CRISPR/dCas9 Activator Complex, were co-first authors Sheena M. Saayman and Daniel C. Lazar, and Jonathan R. Hart of TSRI; Tristan A. Scott of the University of the Witwatersrand; Mayumi Takahashi and John C. Burnett of the Beckman Research Institute at the City of Hope; and Vicente Planelles of the University of Utah School of Medicine. The research was supported by the Strategic Health Innovation Partnerships Unit of South African Medical Research Council with funds received from the South African Medical Research Council, the National Institutes of Health (grants P01 AI099783-01, R01 AI111139-01 and R01 DK104681-01) and the Australian Research Council. 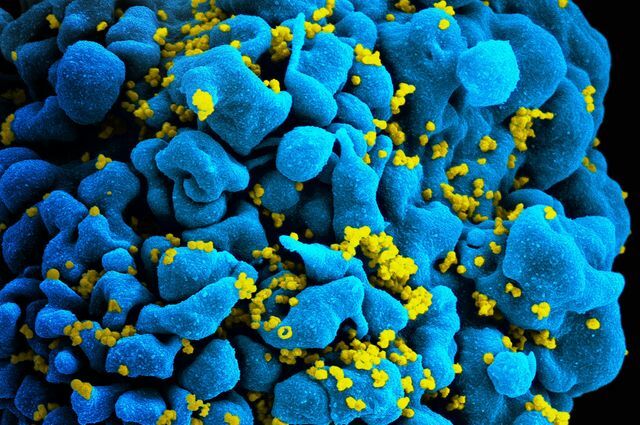 Some people infected with HIV naturally produce antibodies that effectively neutralize many strains of the rapidly mutating virus, and scientists are working to develop a vaccine capable of inducing such “broadly neutralizing” antibodies that can prevent HIV infection. An emerging vaccine strategy involves immunizing people with a series of different engineered HIV proteins as immunogens to teach the immune system to produce broadly neutralizing antibodies against HIV. This strategy depends on the ability of the first immunogen to bind and activate special cells, known as , which have the potential to develop into broadly neutralizing antibody-producing B cells. A research team has now found that the right precursor (germline) cells for one kind of HIV broadly neutralizing antibody are present in most people, and has described the design of an HIV vaccine germline-targeting immunogen capable of binding those B cells. 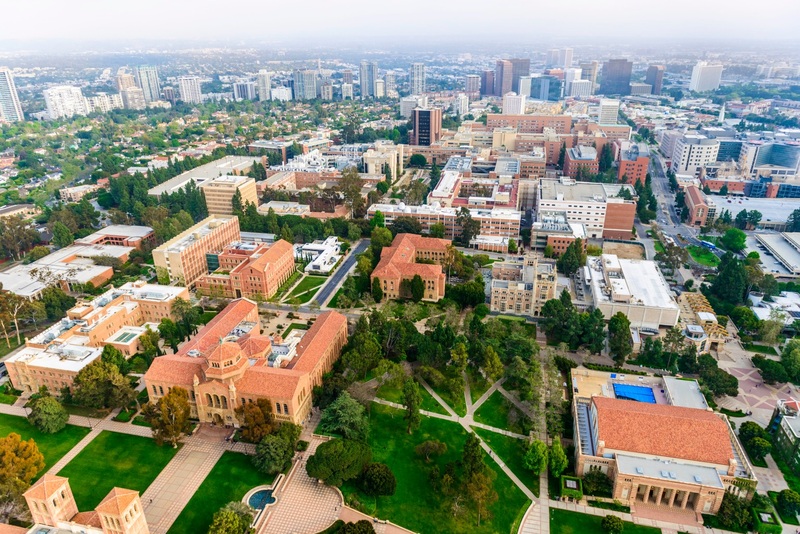 The findings by scientists from The Scripps Research Institute (TSRI), the International AIDS Vaccine Initiative (IAVI) and the La Jolla Institute for Allergy and Immunology were published in Science on March 25. HIV trimer. No image credit.